Arsenal's Arsene Wenger has confirmed that six players will miss Premier League clash against Liverpool. Arsenal will face Liverpool on Sunday at their home ground Anfield. Arsenal boss Arsene Wenger has confirmed that seven players will miss Premier League clash against Liverpool. Arsenal will face Liverpool on Sunday at their home ground Anfield. Defenders Laurent Koscielny and Nacho Monreal, midfielders Thomas Rosicky, Jack Wilshere, Mesut Ozil, Aaron Ramsey and Mikel Arteta all are out for this clash but goalkeeper David Ospina, Theo Walcott and Alex Oxlade-Chamberlain all have returned to training but are doubtful for this clash. Nacho Monreal has a minor chance to return to action while Theo Waclott is back in training but he is doubtful. Summer signing David Ospina is back to training and could be back to action but Thomas Rosicky is likely to return from next week. Jack Wilshere, Mesut Ozil, Laurent Koscielny, Aaron Ramsey and Mikel Arteta are all out with their respective injuries. Ozil has returned to training but will not feature this weekend. Englishman Oxlade-Chamberlain is fit to feature in this game. 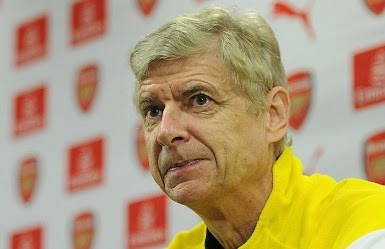 But boss Wenger told that he will still have some test before the visit to Anfield. Wenger will be hoping to take the revenge of last year awful defeat at Anfield despite of having a long list of injured players.